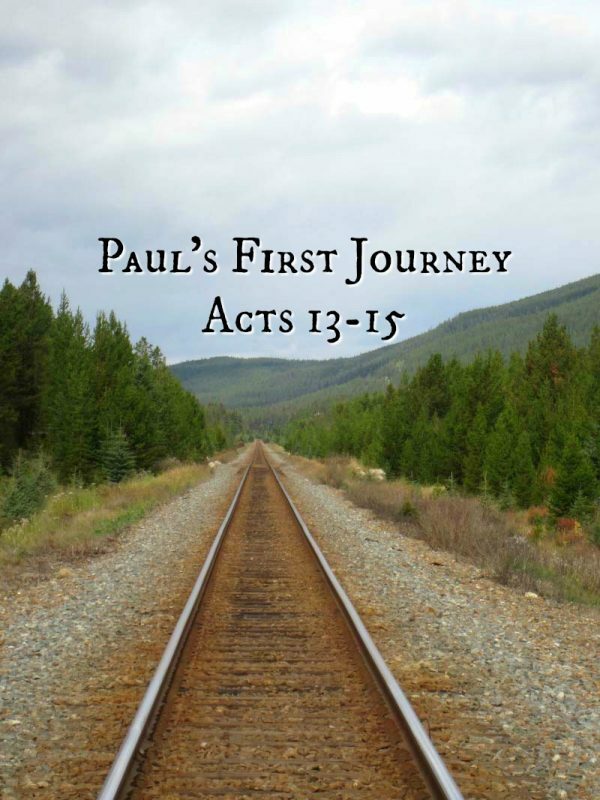 Last week, we began our journey with Paul and Barnabas as they left Antioch commissioned by the church to travel and share the word of God with others to the west. The first stop on their trip was Salamis on the island of Cyprus. Traveling from east to west across the island, Paul and Barnabas arrive in the city of Paphos. Paphos became the new capital city in 22 B.C.. And like most cities Paul and Barnabas will visit on their journey, the majority of the citizens of Paphos were polytheistic. They do, however, encounter an unusual Jewish man who lives a life of contradiction. Bar-Jesus, who is also known as Elymas, is a false prophet and a Jewish sorcerer. Sorcerers (or magicians) were respected and consulted by kings, nobles, and governors for matters of state including war. These diviners used rituals to evoke the dead and possibly tell the future through the practice of necromancy, astrology, or magic spells. But this craft Elymas practiced was considered pagan and was forbidden in Jewish law. Elymas acted as a stumbling block to the faith for proconsul Sergius Paulus (Luke 17:1-3). As his attendant, the proconsul relied on Elymas for guidance and wisdom. Paul and Barnabas were a professional and economic threat to Elymas and his livelihood. Perhaps, those reasons alone are why Elymas tried to prevent the proconsul from seeking and believing in the Christian message. He stands as a false prophet in sharp contrast to Paul and Barnabas who are true prophets. Nothing Elymas did stopped the Lord’s desire for Sergius Paulus. He saw the hand of the Lord at work, believed in that miracle wrought by the Lord, and in turn, was amazed by the words of the Lord shared by Paul and Barnabas. Elymas acted as a hindrance to faith but Paul and Barnabas would not be stopped by obstacles in completing the task they were called to accomplish. For further discussion, information, and to participate in the study, I have set up a private Facebook group. Please message me if you would like to participate.